TDK, based in Belfast City Centre, is an independent Property Consultancy providing clients with a range of strategic services across sectors, covering the island of Ireland and GB. We are one of the leading firms of Chartered Surveyors and Property Consultants in Northern Ireland. 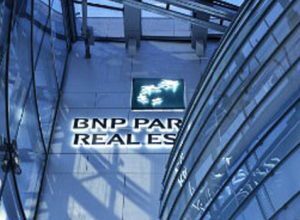 We are an Alliance partner of BNP Paribas Real Estate and are able to utilse this international networks in order to better serve our clients requirements. Our experience and research shows that there is an increased demand from clients to obtain an independent, high quality and professional service. Clients utilising TDK’s services can be assured of partner level input throughout their instruction. 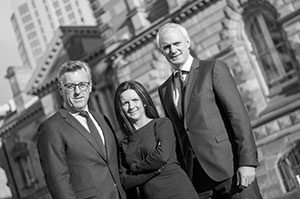 The Partners, Mark Thallon, Stephen Deyermond and Tanya McKeown have vast experience and a strong network of contacts in the property marketand together with our dynamic team are well placed to provide expert advice across a range of sectors. The BNP Paribas Real Estate Alliance network is an international network which comprises both BNP Paribas Real Estate’s branches and subsidiaries, and independent real estate property advisors. TDK is an independent real estate property advisor and a member of the BNP Paribas Real Estate Alliance Network active within the network in the fields of Transaction, Consulting, Valuation, Property Management in Northern Ireland. Being a member of this alliance gives us direct access to Europe’s largest real estate network and enables us to provide our clients with a full range of real estate expertise. BNP Paribas Real Estate is a subsidiary of BNP Paribas, a European leader in banking and financial services on an international scale. BNP Paribas Real Estate main advantage is its expertise in the six business lines that make up the real estate cycle: Property Development, Transaction, Consulting, Valuation, Property Management and Investment Management. Its strength comes from this unique corporate structure, the quality of its professionals and their ability to provide innovative and dynamic solutions. The TDK retail team are acknowledged for offering the highest level of service in all aspects of leasing, asset management, property management and professional services. The team, headed by Mark Thallon, oversee various Shopping Centre and Retail Park portfolios across the UK and Ireland. Our expertise extends to direct contacts with the acquisitive retailers, , redevelopment and proactive asset management advice. The team have a comprehensive knowledge of the market allowing us to provide a dedicated and professional service for both retail property owners and tenants alike, based on their wants and needs. We advise many leading domestic and international retailers such as Poundland, H&M, COS, & Other Stories, Costa Coffee, Dunelm, Semi Chem, Pets at Home, Maplin and Halfords. TDK offers advice on all aspects of commercial and residential development opportunities the whole way through the development process, from project conception through planning, development and sale. The team, led by Stephen Deyermond, have experience in acquisition, sales and consultancy in all sectors. TDK offers strategic advice to clients on the acquisition and disposal of property investments throughout the UK and Ireland. In response to the ongoing economic turbulence and issues in the property market, TDK has drawn on its strengths in the banking and development sectors to advise funders and clients in terms of both optimizing the value of an existing property portfolio and to identify the potential for future value opportunities. The TDK team is uniquely placed to undertake instructions on behalf of Financial Institutions, Administrators and Receivers. The team, led by Partner Stephen Deyermond, is in the prime position to make an initial check on a property and can provide a quick response to queries. The process involves us recommending on how to stabilize a struggling asset in the short term with the target of returning it to optimum health and value over the long term. Our role usually means we are appointed with the intention of managing and realising the asset, we are also appointed as Fixed Charge Receiver where following insolvency the Lender believes that we could apply our property expertise to achieve better outcomes than the borrower. Our team provides specialist advice for owners and occupiers throughout the property lifecycle from development through to disposal. Our experience and research confirms that in the current economic environment there is an increased demand from clients to obtain independent, trustworthy, high quality and professional service free from conflict of interests. The Partners all currently have a strong network of contacts in the property market and are well placed to take advantage of this opportunity. Our agency team utilises up to date marketing mediums to maximise exposure of our opportunities. TDK manage a range of properties including Shopping Centres, Retail Parks, Leisure Parks, retail, offices and mixed use developments. Our philosophy is to take ‘ownership’ of the assets we manage, allowing our clients to focus on their core development and investment aspects of their business. We are able to assist property owners in maximising the capital value of their investment through experienced asset management. The team, led by Tanya McKeown, are currently managing Shopping Centres, Retail Parks, offices and mixed use developments throughout the UK and Ireland. Both Stephen Deyermond and Mark McKinstry have significant experience in property valuations acting on behalf, funding institutions, corporate entities, government bodies and property companies. Our team of highly skilled Registered Valuers provide accurate valuations in order for our clients to know the worth of their portfolio. Our service includes capital and rental valuations for secured lending and asset valuation purposes. With expert knowledge of the local and national commercial property markets the team also offer additional services covering Landlord and Tenant matters from rent reviews to lease renewals and renegotiations.